. . . Built into the encloseure wall of the First Court in the precient of Amun at Karnak is the well preserved barque station of Ramesses III. 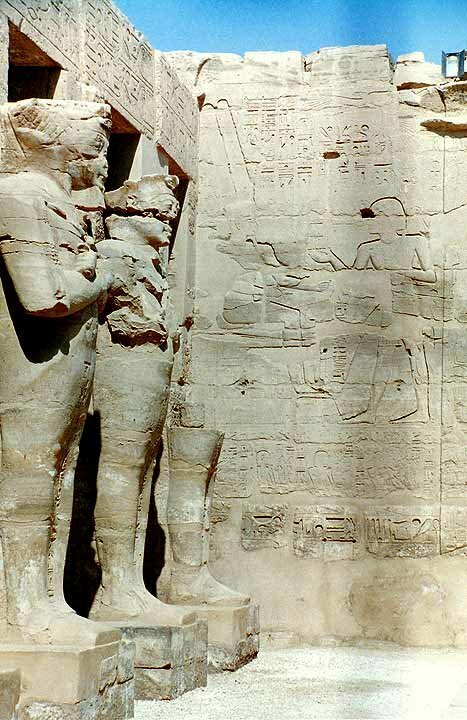 A barque station is a place where the barque of a god, in this case Amun would rest during processions. In some cases barque stations are nothing more than small stone kiosks. 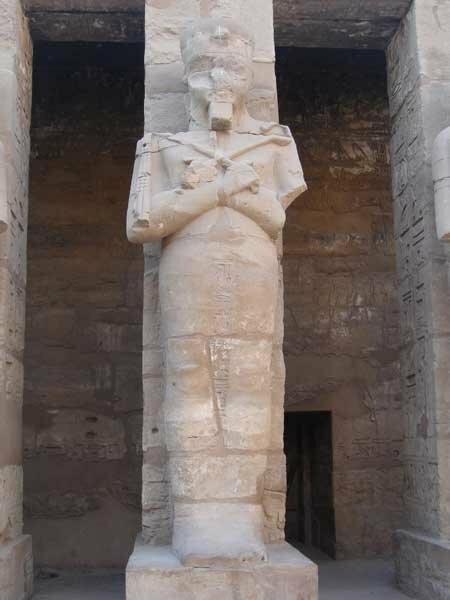 In this case Ramesses III built a complete temple. It includes a pylon flanked by two collosal statues of the pharaoh. 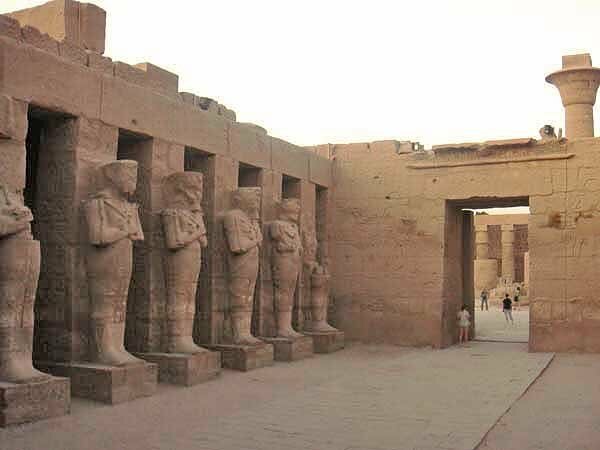 The main hall contains Osirid pillars depicting the pharaoh on three sides of the main court.